An invitation arrived 6 months ago by email. Simple. Straightforward. 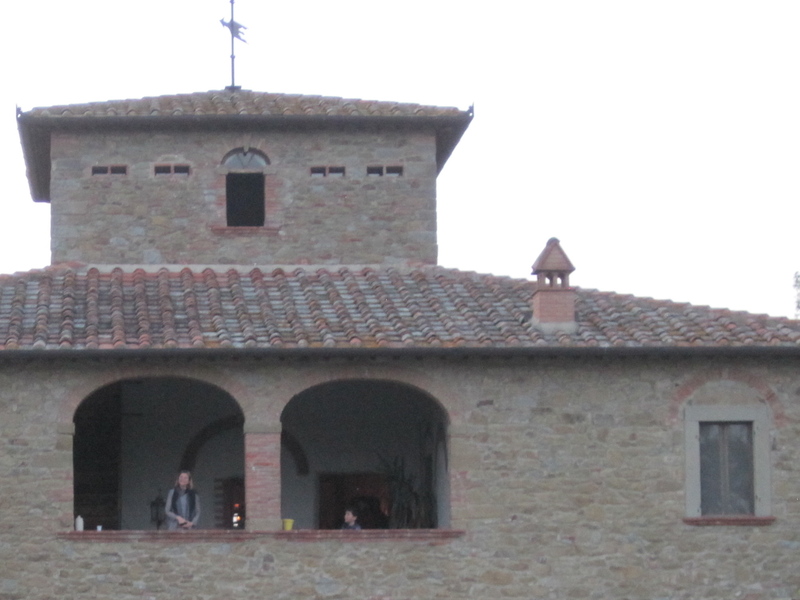 Linda included the names of her “Tuscan” hosts, Baron William, and Baroness Miranda Taxis, who were nearing completion of their renovated casa colonica, farmhouse just south of Arezzo. (Linda even included them in the book.) Since we’d given up fancy events some dozen or so years ago, we hesitated. But, we’d read both of Linda’s books and we wanted to support her dreams and efforts. This was definitely an interesting invitation—a unique chance to meet some British expats, enjoy our friends Linda and Morgan, and mingle with a diverse group of people. The idea of being in one of Tuscany’s ancient homes, coupled with the anticipation of a mini road-trip through the enchanting countryside, clinched the deal. The months passed quickly and before we knew it, we were driving past expansive tilled fields of rich brown soil, with distant layers of trees, silhouetted hilltowns and a breathtaking mountainous backdrop. Rounding the bend, we came upon the unmistakable cypress and tulip-lined drive into our destination, Il Pero, the Pear Tree. We spotted guests through the expansive arches of the second level loggia. We heard the unmistakable chatter of Italian and English mixed. Ah, this is the characteristically alluring Tuscan charm. The grassy lawn by the barn served as the evening’s parking lot. As we slowly meandered our way to the house, we admired the ivy covered vignettes and dramatic views. With their hard work, the Taxis family had created a setting and mood reminiscent of the days gone by. 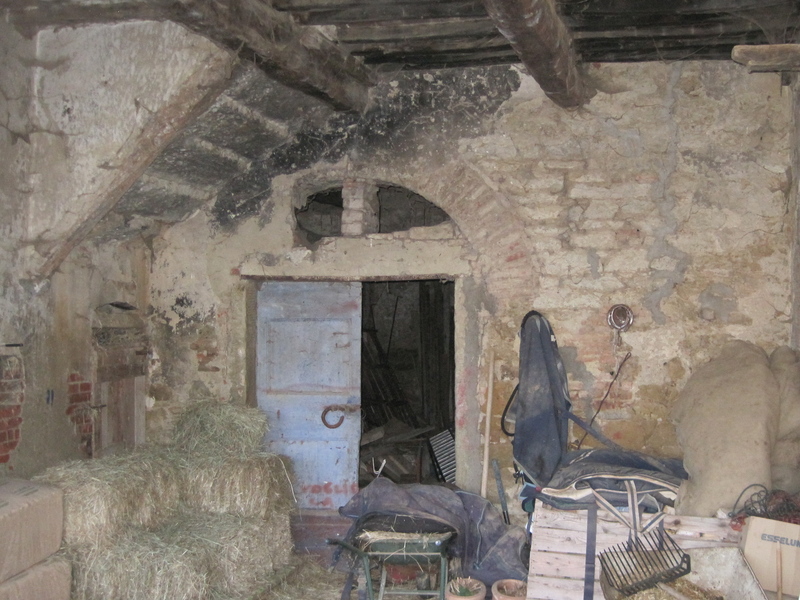 Our first encounter, as we approached the house, was the horse stable—hay strewn amongst the everyday implements of farming. 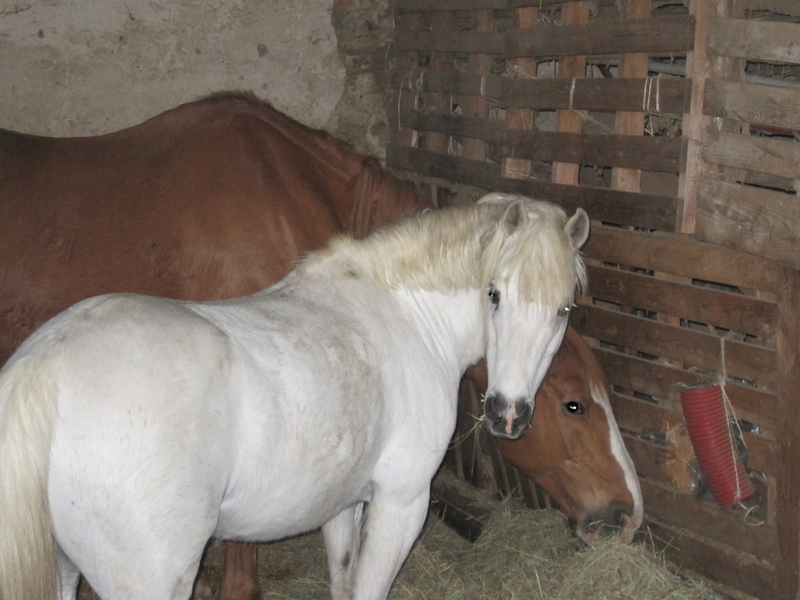 And, as was typical, the horses were right there at the entrance on the ground floor. Country homes were specifically designed back then to house animals under the living quarters. It was a clever part of the natural heating system, as warmth from the livestock heated the floor above. Alongside the left wall, old stone steps wound their way up to the wonderful loggia. As we stepped into the space, we imagined the family gathered in the evenings some three centuries ago. Surely they’d be relaxing after a hard day’s work, sharing stories that gave texture and meaning to their lives—love and laughter woven throughout. Just as those Tuscans closed their day, so did we, in a similar manner—gathering to share a few stories and spend some time with each other. The loggia opened into a large room, the center stage, where the lives of the extended family were habitually strung together. In front of the enormous fireplace with the hand-carved stone lintel, they surely cooked, mended work clothes, played music and lived their extraordinarily ordinary lives, which were simple and real—unadorned, natural, rustic, yet engaging. On that last Saturday night in April, we entered the main room to find it much like it must have been in the 18th century—a large central table laid abundantly and enticingly with food. People milled around, talking and enjoying one another’s company. But the most striking element at Il Pero was the absence of electric lights. Instead, the entire room was illuminated by candles, which circled the large iron chandelier. It seemed there were too many to count. 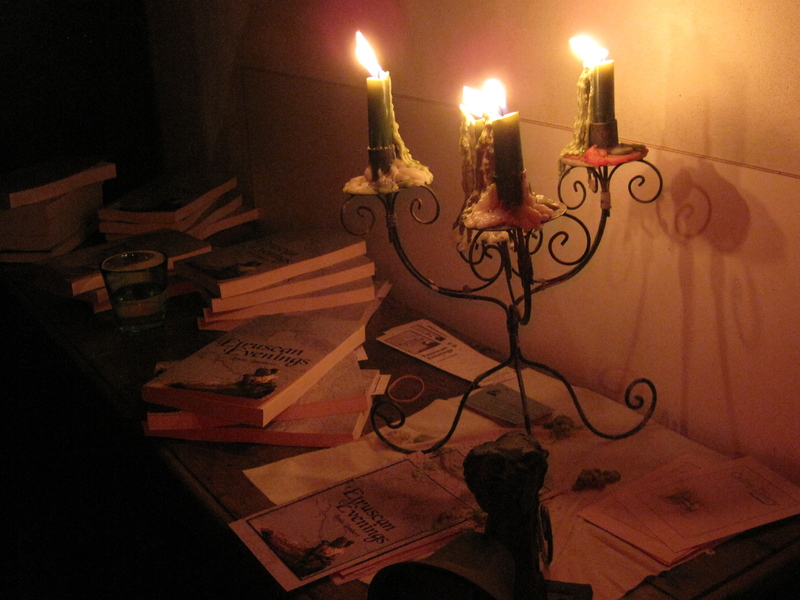 The candles pleasantly lit the room from rustic candelabras carefully placed around the perimeter. Even more candles glowed in the delicate fixtures on the various tables and cabinets as well. The flickering candlelight gave the room a glow that drew us in, making us want to stay . . . and stay. After mingling and chatting, Miranda welcomed the guests to Il Pero. She introduced Linda who spoke briefly about her books and the pleasure of writing fiction. Following her introduction, various friends, standing close to the candelabras for light, read excerpts from the latest book. Their faces glowed as their words echoed in the vast space. The book pages looked like recently discovered manuscripts. Forms faded into shadows. 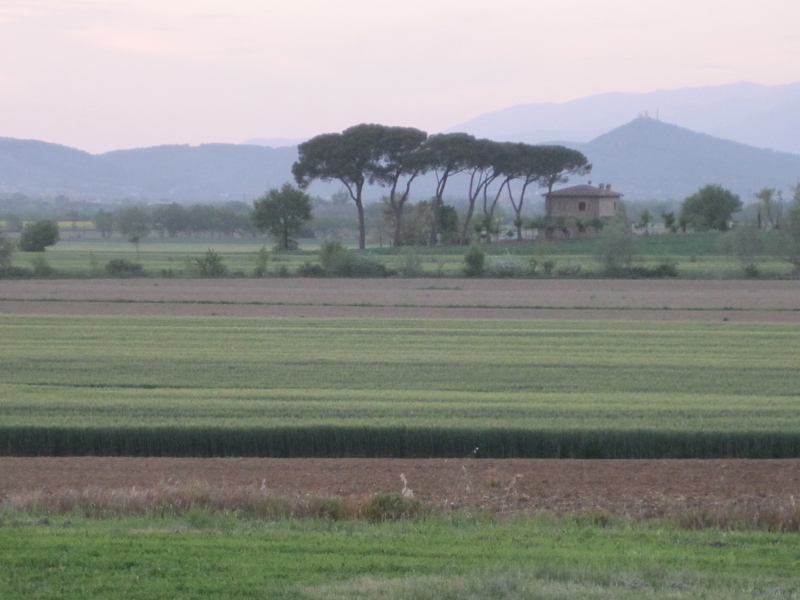 Through the window, i cipressi, the cypress trees became dim outlines, finally obscured by dusk. Our evening exceeded expectations, giving us pause on the quiet drive home. We feel certain that we were changed in some unseen way by the experience. It was a magical evening at Il Pero. Perhaps the mood was created by the horses at the front door. Or the rustic brick and stone structure itself. Maybe candles were the secret ingredient. Or was it the hospitality and presence of William and Miranda? Most likely it was a combination of all of those qualities. 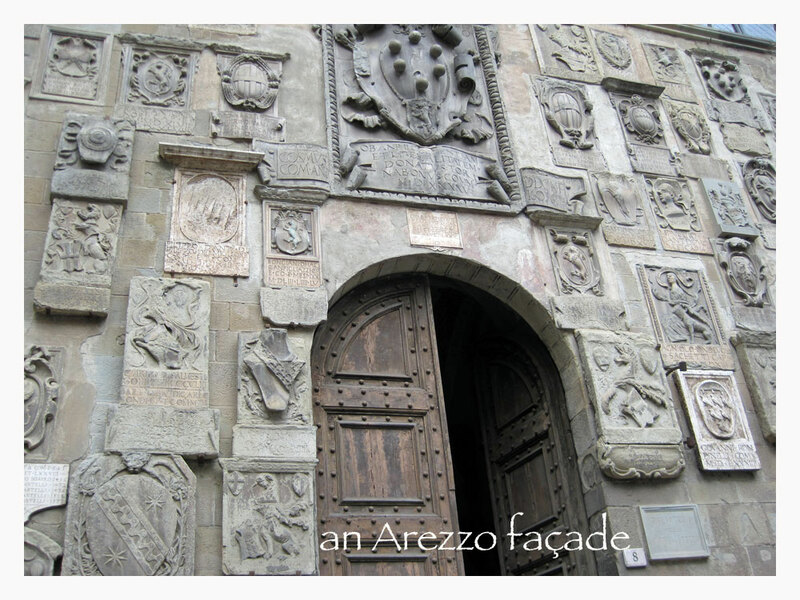 For us, the secret lies within the rustic, the natural, the unaltered and the timeless quality of their restoration. We enjoyed it because it wasn’t perfect. It was just real. Prev Post: What more could one want?